Job terminations are unlawful if done because of certain forms of retaliation, or because of a protected characteristic under the law. Not all California job terminations are illegal. To determine if your job termination was unlawful call 1-877-525-0700 to speak to our experienced labor law firm. WE ADVANCE COURT COST. ALL CASES ARE TAKEN ON CONTINGENCY. WE ARE ONLY PAID IF WE WIN! Terminations of employment are only unlawful if the reason for termination has been deemed to fit within the criteria California courts and the California legislature has deemed to constitute an unlawful termination of employment. 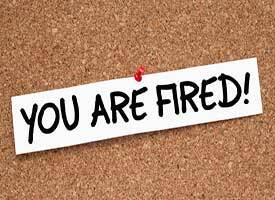 If you were fired for an unfair reason that did not have anything to do with the California criteria for unlawful terminations of employment you probably cannot sue for an unlawful termination of employment. However, if the reason for termination is unfair and the real reason for the employment termination is due to something California law deems an unlawful termination you will have a wrongful termination case. Besides what California law has deemed to constitute an illegal termination of employment, you may also have an employment case due to breach of contract or fraud. Keep in mind the term, “Illegal” may not mean a criminal violation on your employer’s part. If your employer’s conduct towards you violates a civil law it is still considered an illegal act and potentially an illegal job termination. A simple breach of employment contract is technically an unlawful termination of employment. However, unless the breach of employment contract is accompanied by what is called a tort on your employer’s part, your legal action against your employer is in breach of contract and is limited to breach of contract damages unless for some reason a statute is also violated such as a California Labor Code provision. Clients of employment lawyers should not be concerned with the official label on their job termination case, and whether it is called an illegal job termination, or an unlawful job termination in court. The more important focus should be that the former employee has a legal remedy to proceed against their employer. 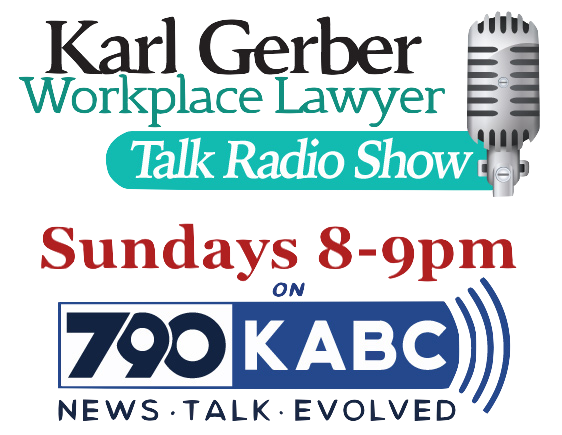 Because there are so many different legal remedies that apply to a job termination in California, it is critical for a fired employee who believes they may have legal recourse to consult with an experienced labor lawyer immediately. The Employment Lawyers Group can guide you through your job termination, wage theft, employment contract breaches, or any other legal issue pertaining to your employment. Simply call us at 1-877-525-0700.